One simple hand gesture can help your dog immensely. It doesn't take much to learn and you'll be able to use this cue for so many things. Find out more by reading below! 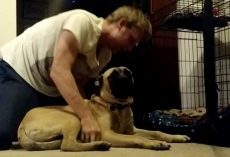 What is ‘touch’ in dog training? Touch is really just the name many dog trainers assign to a behavior called hand targeting. 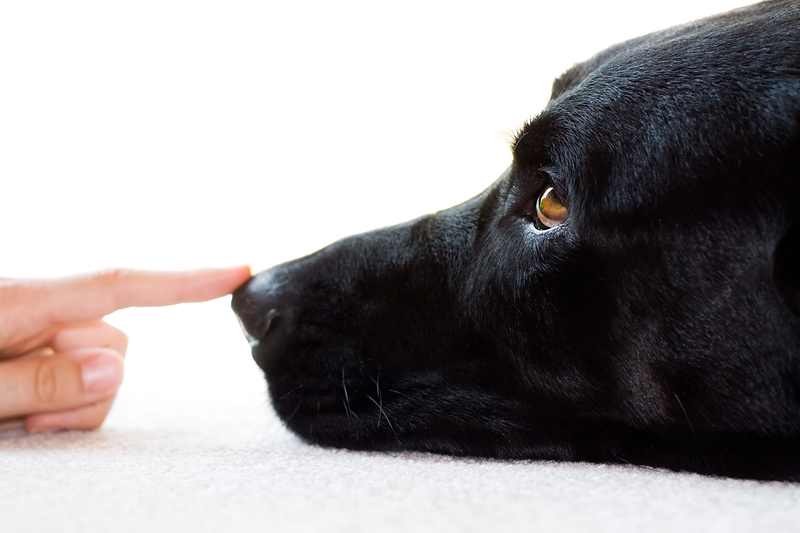 Hand targeting is the simple act of a dog voluntarily touching their nose to your hand. Teaching a dog to hand target is like implanting a permanent magnet in your dog’s schnozz. They’ll be automatically drawn to the palm of your hand when outstretched. A little bump and that’s it. The touch is complete. 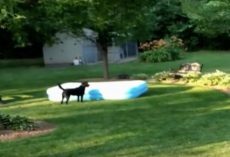 Give an overexcited dog an alternative behavior to jumping. The higher you hold your hand, the more energy your dog has to burn to bounce up and touch their nose. 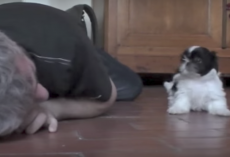 Do several of these in a row and your dog is now playing a fun, productive game. 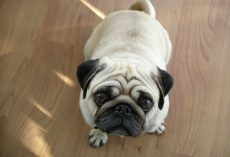 Offer a reactive dog an alternative to unwanted barking or lunging. 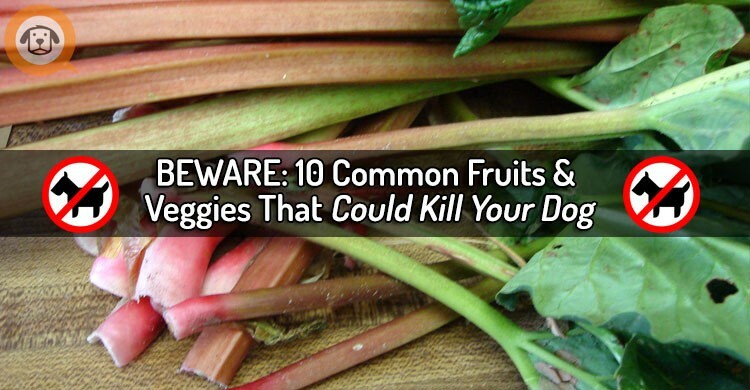 Provide a fearful dog with a “safe” option for saying hello to unfamiliar people. Clarify what you want from your dog. For instance, when you need them to get into the car, get off the couch, or move out of your way in a small space. Work like a mini-recall. 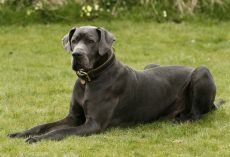 If your “magnet” is strong, saying ‘touch’ gets your dog to come to you across a room or small outdoor space. All this from one cue? Yes! All this and more. Who knew that a simple touch can change so much for your dog?! The difference is noticeable right off the bat. With a few minutes put aside to teach your pooch this cue, his life will get so much easier. For more information, be sure to check out Rover. 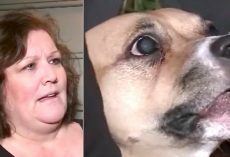 (VIDEO) Two Obese Pugs Are Relinquished by Owner. How They Find Their Happy Ending? This is a Must See! 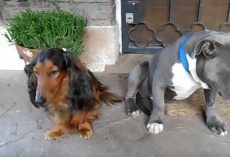 (Video) Yep, Boxers Can be Greedy. But What This Boxer Did Took That One Step Further! 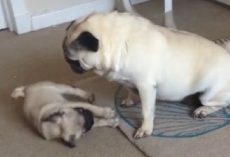 (Video) This Pug Makes Hilarious Noises to Tell Mom She Can’t Work. Now Watch What Happens Next – ROFL!